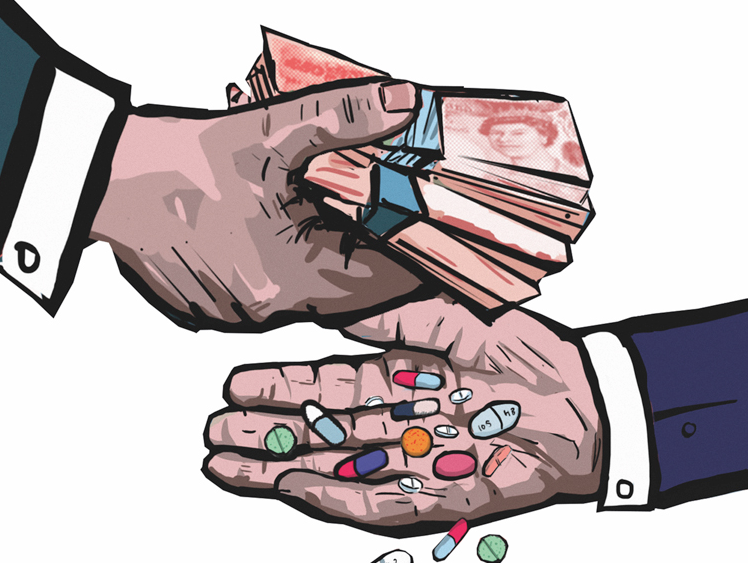 By Elanor Williams – Global Justice Now: Donald Trump is blaming foreign health services for the huge cost of medicines in the US and ignoring the elephant in the room: big business. I really like elephants, but not this one. These powerful drugs companies are charging such high prices for medicines that people across the world can’t afford the treatment they need to stay alive and well, including in the US. Trump has lashed out at other countries, claiming their health services are bullying big drugs companies into paying “unreasonably low fees” for their medicines. And, according to him, this means that patients in America are having to make up the slack. What he’s overlooked is the eye-wateringly high prices for medicines set by corporations, and it’s no surprise. The pharmaceutical companies in the US are some of the biggest political donors. And, Alex Azar, the US secretary for health, was the former president of the powerful pharmaceutical giant, Eli Lilly. The Trump administration has promised to use American muscle in trade negotiations to force health services, including the NHS, to pay much more for drugs to American corporations. They are putting big business first, not patients. What’s more, here in the UK, the NHS is already facing enormous costs for medicines set by big business. It repeatedly has to refuse patients vital medicines because they are far too expensive. We can’t allow a US-UK trade deal that will force the NHS to pay even higher prices for medicines. At the end of next month we’ll be taking to the streets to march in defence of the NHS, as it turns 70. And we are mobilising to make sure that when Trump visits the UK on 13 July, he’ll know he and his hateful agenda are not welcome here. We want a world where trade deals look after people’s interests. We want a world where no-one is priced out of the medicines they need. And you can help us fight for it by donating in support of our pharmaceuticals campaign. We’re working with experts in the field to research how medicines can be made in new ways that put people first. We’ll be producing a ground-breaking report on how alternative drugs production can be put into practice. With your help we can turn policy into people power and demand an end to profits being put ahead of people’s health. Seventy years ago the NHS was founded on the principle that good healthcare should be available to all. If you believe in affordable medicines for all, please consider donating today to help us fight for this important principle.